Do you know any of these girls or where the photo was taken? 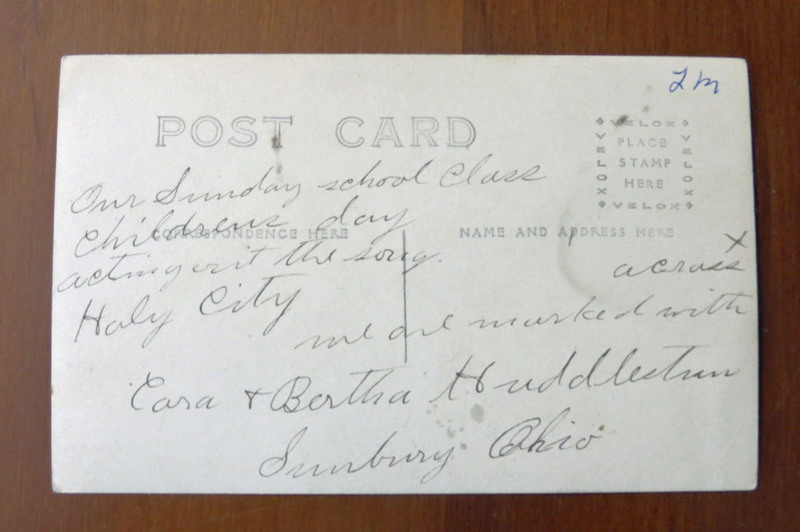 Cora M. Huddlestun was born on 8 Sep 1883 to John and Cora (Wales) Huddlestun. In 1920 she worked as a bookkeeper for a machine shop and lived with her sister Bertha on Depot Street in Sunbury, She died November 4, 1970 and is buried in the Trenton Cemetery. Bertha Etta Huddlestun was born April 21, 1890 to John and Henrietta (Owings) Huddlestun. She was assistant cashier at the Galena Bank. At one time she lived on Rainbow Avenue in Sunbury. She died January 16, 1967 and is buried in Trenton Cemetery. 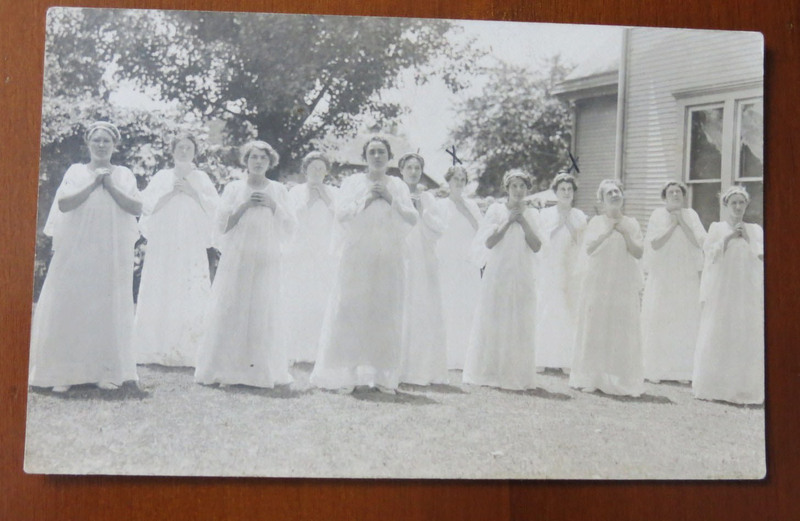 Is the photo taken near the parsonage of the Condit Presbyterian Church or another church? Other side of the postcard.